The Poem Farm: Come One! Come All! Poetry Friday is Here! Come One! Come All! Poetry Friday is Here! I am so glad you are here. 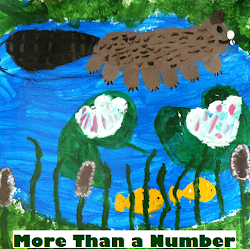 If you are new to Poetry Friday, you can learn more about it at Renée's place, No Water River. In short, Poetry Friday is a big ol' weekly poetry party, and all are invited. Welcome. Students - Did you ever notice how something bad happening can help you see something good that was there the whole time? I have noticed this, and yesterday, after seeing many signs for a LOST DOG, that very noticing and feeling crept into the ink of my pen, into the ink of my veins. The meter and rhythm broke at the end. I liked both of these surprises. I believe it can be helpful to begin a piece of writing with a plan. But I also believe it can be just as helpful to let the plan go, let the dog in, listen the broken meter and see how it matches the meter of your heart. Why a broken meter? 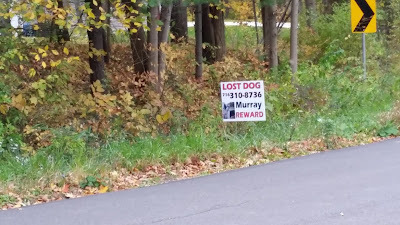 Well, would you be counting meter if your lost dog just came home? Me neither! 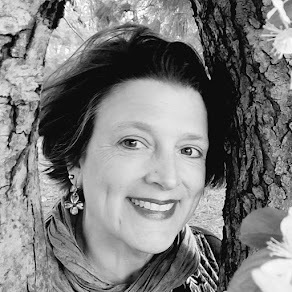 We have a winner of Cynthia Grady's beautiful book I LAY MY STITCHES DOWN: POEMS OF AMERICAN SLAVERY over at my other blog, Sharing Our Notebooks. If you left a comment, it could be you! Very shortly I'll have a new post over there, and I always welcome new notebookers to share in that space...please just let me know if you are be interested. 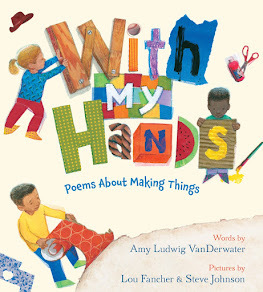 Below you will find links to all kinds of Poetry Friday goodness happening around the Kidlitosphere. If you'd like to link in, I thank you! And to all...may the posts you visit and read fill your hearts with joy and your pockets with laughter. 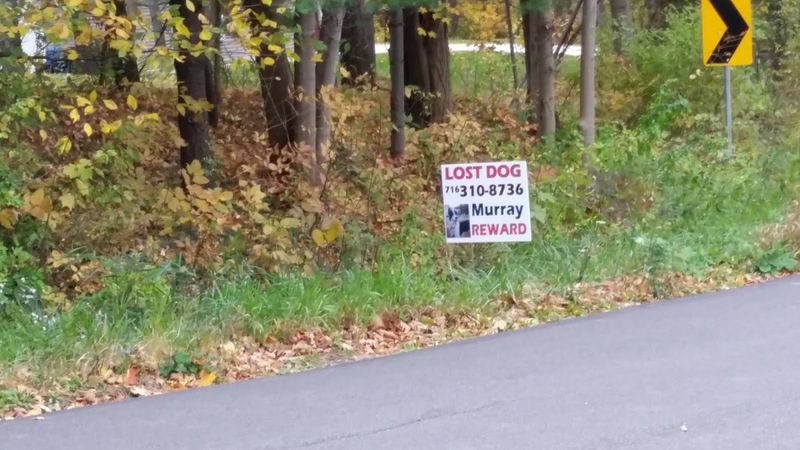 Thank goodness they found the dog! Thanks for hosting today, Amy! Thank you for hosting on a site that is bright and inviting. I love your engaging conversation with students (that would include me:). Yes! How many times I have lived the best-worst thing, mistakenly focusing--at the time--on the "worst" thing. Hyperbole/catastrophizing...not a good thing. Your poem reminded me of another lost dog...perhaps he will find his voice one of these PF's. God bless you! Thanks. I love your poems. Just saying... This one jumps right into my heart like that lost dog jumps up and licks your face. Thanks for hosting. I am not writing poetry at the moment so I took the liberty of posting about writing in my classroom. Happy Friday! Beautiful, Amy. You know just what to say in just the right way. Especially loved your explanation of why you broke meter! Happy Poetry Friday and thanks for hosting. Oh, the awful lost-dog feeling! Thank you for finding the silver lining in that dark cloud. And thank you for hosting! It's always a pleasure to join you at the farm! I like the way you described the reason for the change in meter. It makes it so clear! Have a great day! I was just discussing with a group of friends recently how bad stuff we go through makes the good stuff so much better. You have articulated this perfectly in your poem, Amy! Thanks so much for hosting Poetry Friday this week! One of my dogs is a runner (luckily only escaped a few times), but the panic in that short time she is gone is awful and yes, when we find her, it's hugs and tears! "that very noticing and feeling crept into the ink of my pen, into the ink of my veins." -- nicely put, Amy! You are so good at noticing :-) Thanks for hosting today! Love the way your poem describes an emotional truth in an accessible way. Thanks so much for hosting, Amy. I love your poem. It really captures the experience of losing, then finding. And I like the way you explained your reason for breaking the meter. It makes total sense. Amy, I love the first two lines, and love where they led you. And thanks for hosting! Thanks for hosting, Amy! I often wish I were still a teacher, just to be able to use your wonderful lessons and observations with kids. Actually, I'm tempted to use them on myself. Wonderful poem + teaching moment! Thanks for hosting, Amy. I love the celebration part of your poem especially, that picture of being reunited. Thanks for hosting, looks like a lot of people coming to the party today! What a beautiful poem, Amy. Losing a dog must be horrible. Oh, yes, so good to remember the good that comes with the bad. Reminds me of that story in Zen Shorts where you can't even tell what's good and what's bad. Thanks so much for sharing and for hosting. I love your poem! I have been where your poem goes. I wrote this morning before coming here - my own dog story. The first stanza dictated the rest of the scheme. And I think even in my poem today, the bad in it is really good. Now. Thanks for sharing and hosting today! 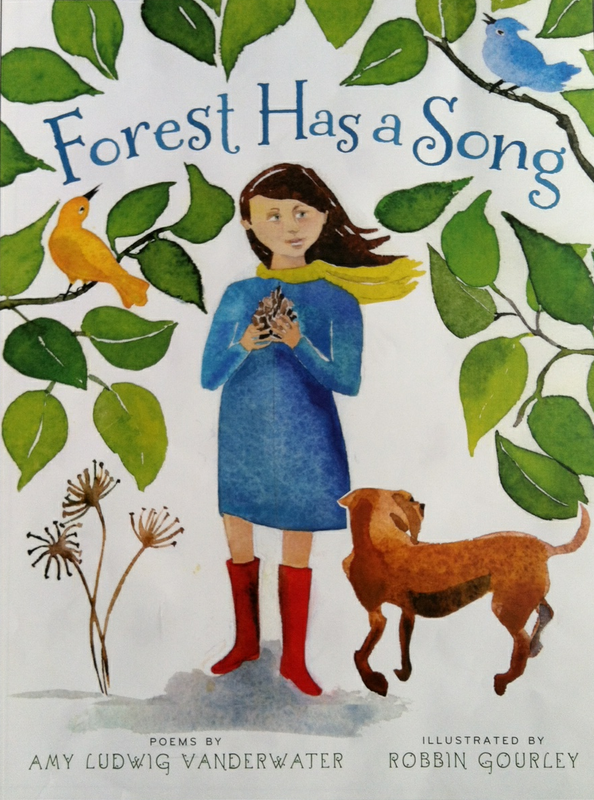 My selection is "Brothers & sisters: family poems by Eloise Greenfield with illustrations by Jan Spivey Gilchrist. I enjoyed you poem about a lost dog. The ending was really sweet. As serendipity would have it, my poem this week is about a lost cat. Thanks for hosting us today. Loved the poem, Amy - so true and relatable. I'm late to the party, but sharing my page from the NG Book of Nature Poetry! Amy, I read over your lovely poem several times before reading your explanation. How interesting it is that your poem found you after you got started. You proved that twists and turns happen for a reason. I love your positivity and the way you phrased the noticing and feeling that crept into the ink of your pen and into the ink of your veins. My offering for Poetry Friday will come later tonight since I have been preparing for a PD program and delivered it today. That poem spoke to my doggie loving heart, Amy. Loved the way you described the process, too. Between the time I posted this morning and when I came back tonight, your portrait changed, and I just wanted to say you look SMASHING!! Your poems are always so touching. I love visiting The Poem Farm! Your new photo really captures your beautiful spirit! Goodness, what a sweet poem. I have to share this with my dog-lovin' daughter. Thanks for the post. I love the way you laid out Poetry Friday links. Gorgeous poem. Thanks for the smile and for hosting. What a great way to look at the bad thing--in a good way! I really liked this one! Thanks for hosting, Amy. 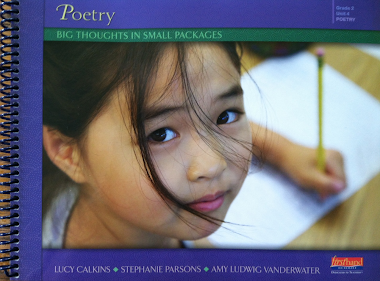 We who *must* write--poets who want to practice, kids whose teachers are asking them to--need this lesson in just starting, and then seeing what poem comes! I especially liked the tiny passing detail of "and he licked my wet face"--puts another layer of emotion in with one word.